Visit the iconic Masai Mara before flying to the Serengeti’s game-rich plains and round it off with an exploration of the magnificent Ngorongoro Crater. 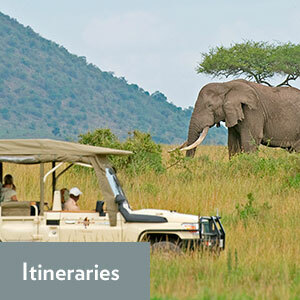 Enjoy a walking safari or fly camping in the wilderness of Tarangire before moving to the Serengeti to game drive on the endless golden plains. Come and see the wild chimpanzees of Rubondo Island.